HP Inc., one of the largest players in the world of additive manufacturing announced that it will be showcasing new customers, applications, and technology at the upcoming Additive Manufacturing Users Group (AMUG) Conference. The AMUG which is known to be one of the largest 3D printing user event is slated to take place from March 31 to April 4, 2019 in Chicago, Illinois in the United States of America. 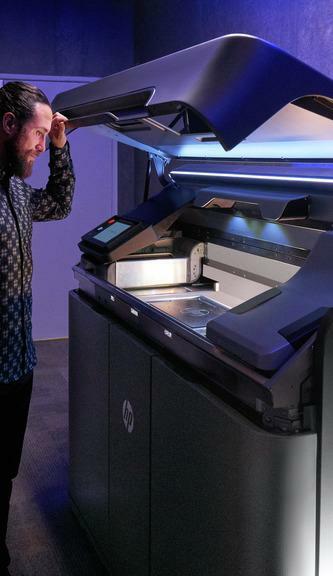 HP’s advanced portfolio of 3D printing solutions continues to expand and the company is helping customers accelerate their journey towards digital manufacturing. This is evident from the fact that more than 10 million parts were produced using HP’s Multi Jet Fusion technology last year alone. 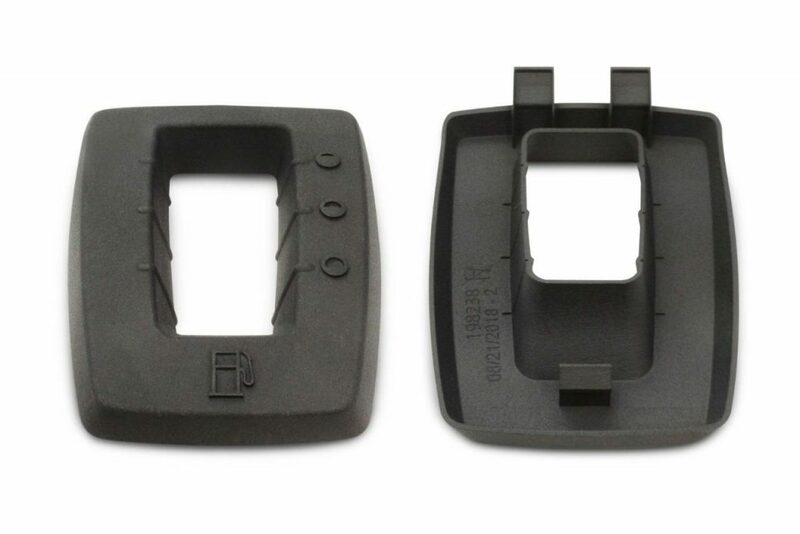 Above: A fuel window – an example of one of more than 10 million parts produced using HP’s Multi Jet Fusion technology in the past year/Image Credit: HP Inc.
At the AMUG, HP Inc. will share insights on new 3D printing applications and digital manufacturing services such as the HP’s Metal Jet Technology along with its partners such as GKN Powder Metallurgy and Parmatech and Multi Jet Fusion technology that it offers to Fast Radius – a leading provider of comprehensive additive manufacturing solutions, which uses HP’s Multi Jet Fusion technology to deliver innovative new 3D-printed applications and final parts to a wide-array of customers operating in various industries ranging from automotive to defence. In addition to showcasing its applications at AMUG, HP also announced that its recently introduced 3D printing portfolio or the new Jet Fusion 500/300 Series is shipping in volumes and has bagged orders from new customers which include automotive companies such as North America’s Daimler Trucks North America, which is using HP’s Jet Fusion 500/300 platform to accelerate its prototyping to production timelines. Some of the other customers of HP’s Jet Fusion 500/300 platform include Unlimited Tomorrow which is using the company’s products to provide amputees with custom-made 3D printed prosthetics and Clemson University, which is using the 3D printer to advance innovation. Above: HP’s Jet Fusion 500/300 series 3D printer is being used by customers including Daimler Trucks North America/Image Credit: HP Inc. 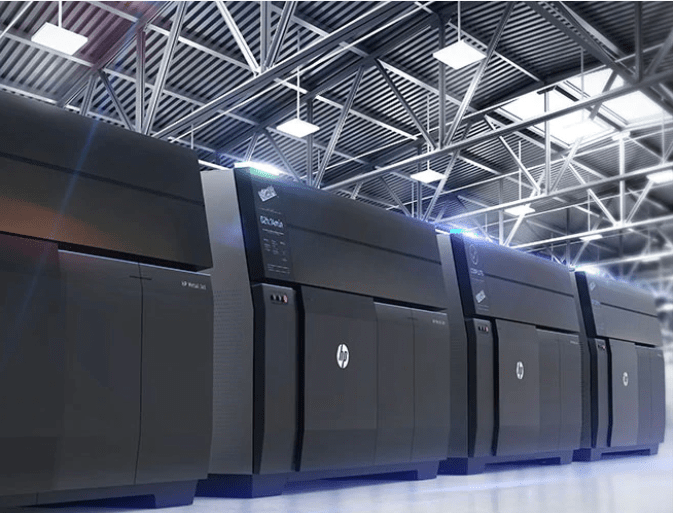 Taking a step further in helping its customers in their journey towards digital manufacturing, HP Inc. also announced the availability of its Metal Jet Production Service for its Metal Jet 3D printers. With the availability of the service, the company’s customers can now upload 3D design files and receive functional metal parts in large quantities. The parts are produced by HP partners GKN Powder Metallurgy and Parmatech to ensure the highest standards of engineering and production quality. Above: HP’s Metal Jet 3D Printing Technology/Image Credit: HP, Inc.
“As we continue to expand our plastics and metals portfolio across both prototyping and production, and build out our community of global partners, we are helping customers save money, accelerate time to market, and improve sustainability as they progress on their digital manufacturing journey,” concluded Mr. Schell.